Classic car restoration is a growing hobby. In these days where modern cars are becoming more and more sophisticated there is less and less opportunity for DIY repair and maintenance and so enthusiasts are turning to older cars. 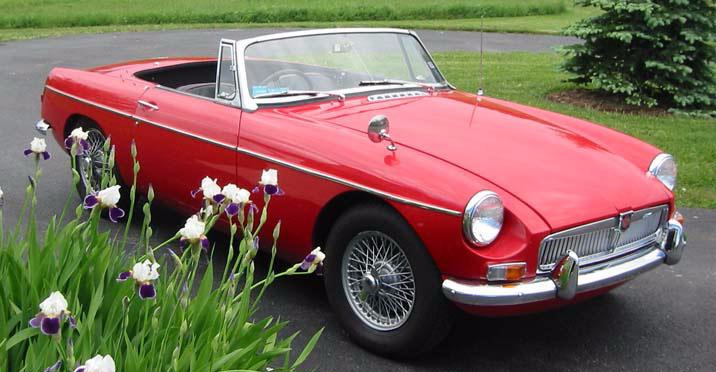 This website sets out to explain the methods used to restore an MGB. The work was carried out on a 1966 MGB Roadster but most of the methods and techniques can be used on both the Roadster and the GT. The Roadster, as expected, was in poor condition at the outset and could have been a candidate for a re-shell. This would have been the easiest and quickest method of bringing it back to life but the repair of the original shell was a greater challenge and also was by far the cheapest option. There are many books and manuals on the subject of restoration but in many cases the description of the work leaves something to be desired and does not always suit the home restorer with limited resources with few special tools. These items are aimed at the home restorer with reasonable skill but may not always describe the accepted method of doing the work. The website is split into several different sections with easy links to allow the visitor quick access to the area of interest. Try the links on the left to get started. © Copyright all rights reserved. No material or information on this website should be copied or reproduced without permission from the author.